Samsung combines the best parts from Galaxy S7 Edge and adds a lot more to create a fantastic device. The first Galaxy Note phablet launch in 2011 had raised many eyebrows, questioning the very existence of this form factor. Now, the Note is one of the much-awaited devices every year. And, the Galaxy Note 7 has not disappointed us. 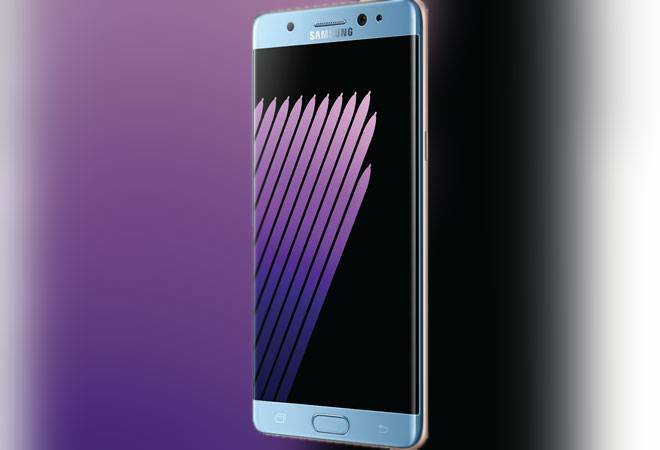 Samsung skipped the Note 6 to launch the Note 7 in an effort to sync it with the Galaxy S series - the design and innards of the handset mirror the Galaxy S7 Edge. Crafted in metal and glass with rounded corners, it has a 5.7-inch super AMOLED display with 1,440 pixel resolution, and is protected with the latest Corning Gorilla Glass 5. The 'always on' display allows access to notifications without having to unlock the phone. The home button doubles up as a fingerprint scanner and the camera module sits at the rear. The Samsung Note 7 is one of the most powerful phablets in terms of performance - powered by Exynos 8890 64-bit Octa-core processor paired with 4 GB RAM. It is available only with 64 GB internal storage but supports up to 256 GB. It has the S7-series 12-MP rear camera, which captures good images, especially in manual mode. The Galaxy Note 7 is dust-resistant and can survive under 1.5 metre of water for 30 minutes. One can use the iris scanner - the front camera scans the iris - to unlock the phone. The feature works flawlessly even in low light. The S Pen functionality makes it stand out against other flagship devices. It also has a new feature to create a GIF from a video. Quick memos can be created from the locked screen by taking the S Pen out. The shortcuts give access to create note, smart select, screen write and translate. You can add more to the list. The device maintenance setting increases the battery life by selecting the power saving mode - which even changes the screen resolution to full HD or even HD. The video enhancer option substantially improves the quality of the video when played on the device (the videos captured using special high-end cameras and equipment). Samsung has also added a Type C charging port to the Note 7 without doing away with the 3.5-mm jack. The only let down for me was the Samsung TouchWiz UI - it feels heavy and the Note 7 would have been a perfect device if it had stock Android OS.